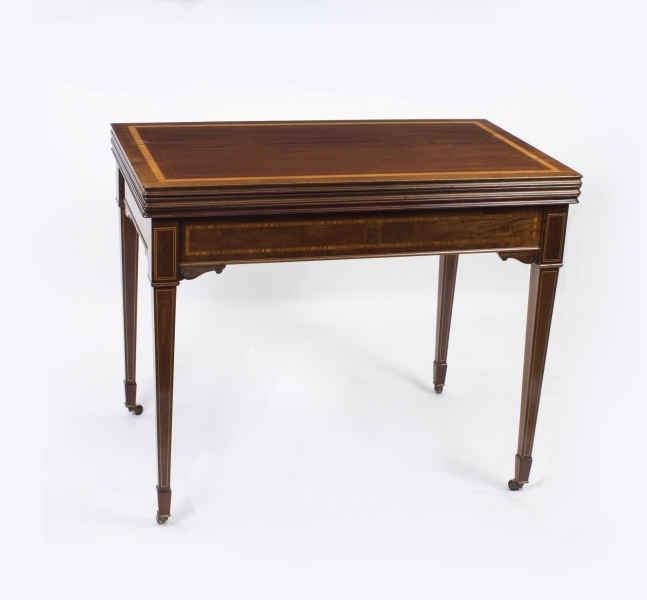 What’s New at Regent Antiques? Tables of this type and quality only come along occasionally. 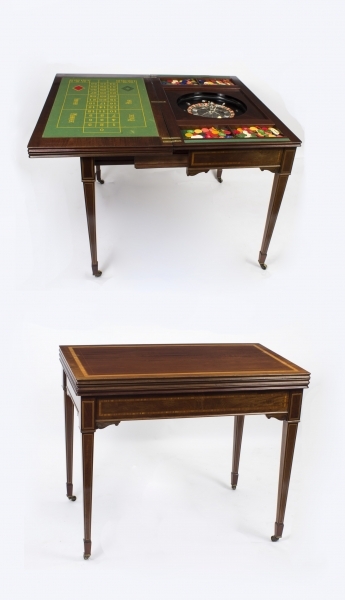 The table top itself is a thing of great beauty and is wonderful to behold. 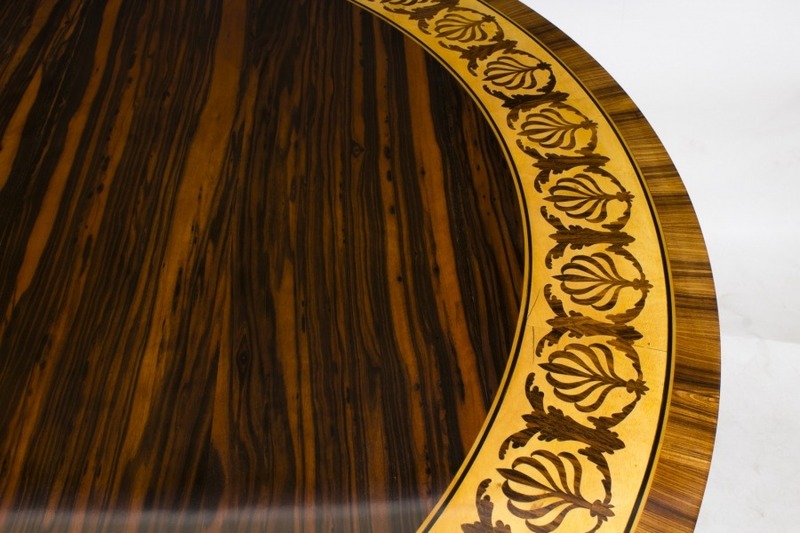 Take a look at the beautiful finish that the craftsmen who made it have managed to obtain from the calamander centre and satinwood marquetry around the circumference. 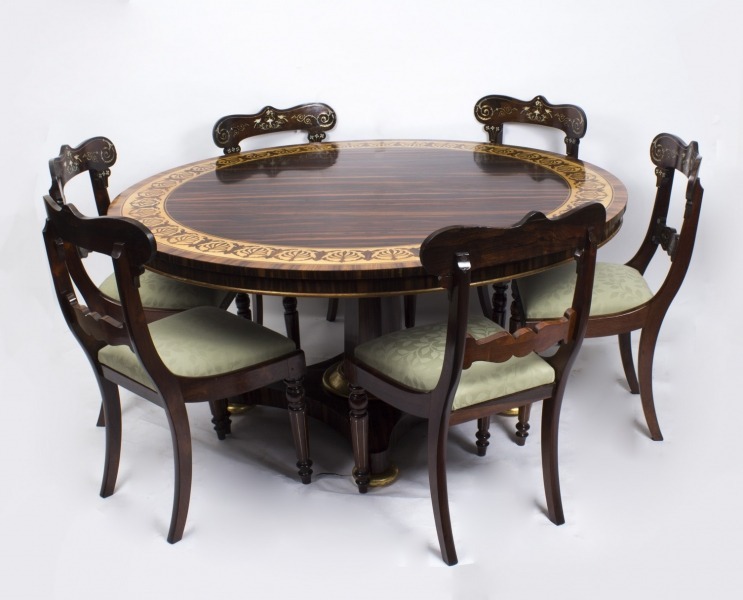 This table has been carefully and expertly restored in our own workshops and is offered for sale in excellent condition with six Regency dining chairs to complement it perfectly and seat your guests in great comfort. 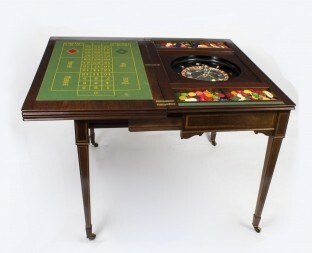 Still time to place your order and serve this year’s Christmas dinner in real style on this fine table. Please pay particular attention to the base which features three hand painted Vernis Martin panels. 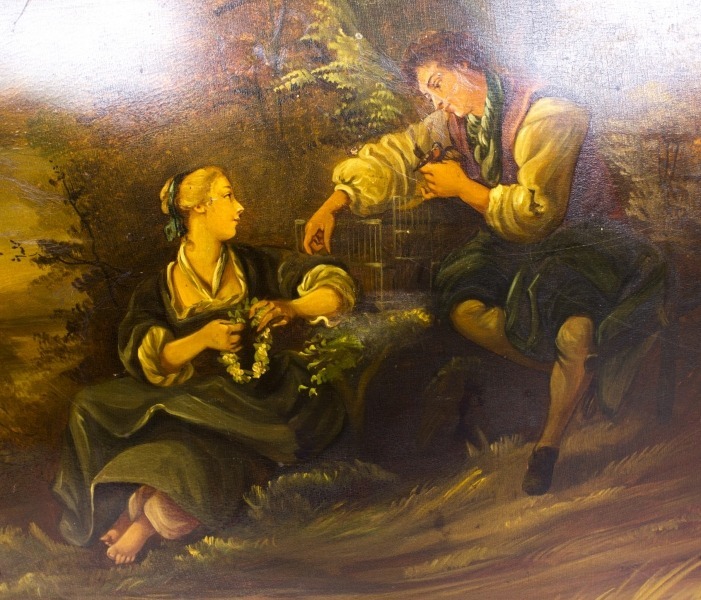 You will note that the central panel, which depicts a courting couple, is signed by the renownned artist, M Le Brun, a name associated with the best Vernis Martin furniture. Standing almost six foot high this cabinet not only looks good but adds some serious display and storage space to any room you care to place it in. 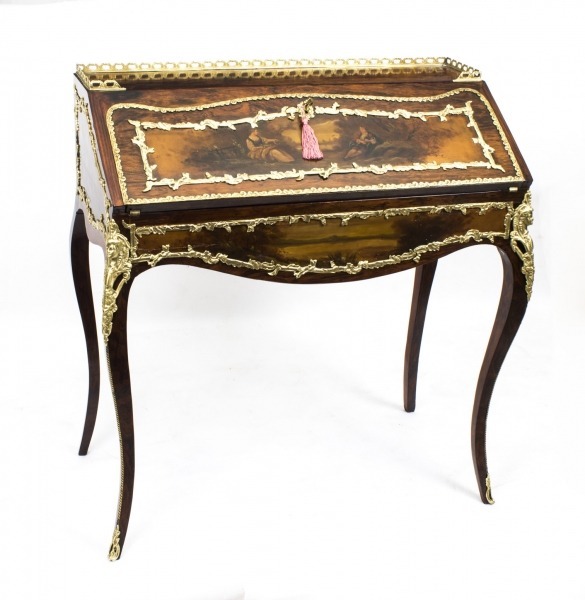 Despite its modest proportions, it is just a shade under three feet in width, this is a bureau that will make a very big impression on whoever sees it, not least because of the delightful decorative Vernis Martin painted panel in the central panel. Suppl;ied in excellent condition, with working lock and key, this is an ideal Christmas gift. 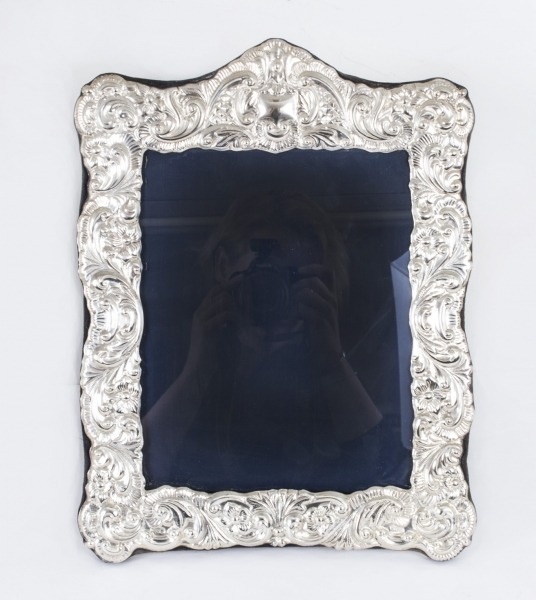 From a well known and sought after supplier this sterling silver frame is hallmarked London 1990 and also bears the mark of silversmiths, Mappin & Webb. 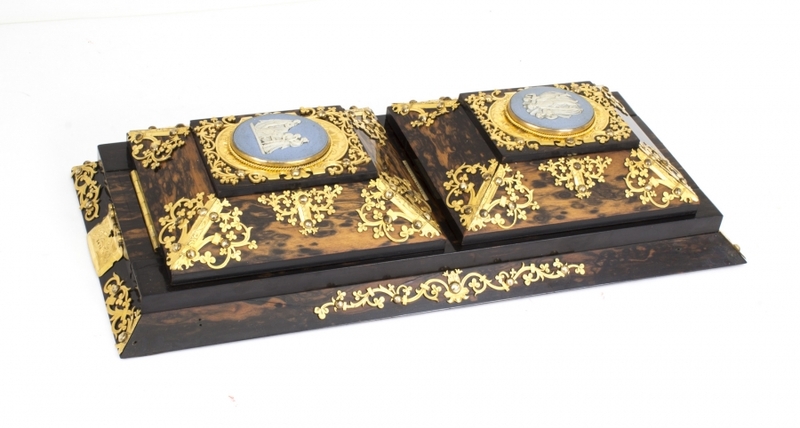 It has a blue velvet back and features a decorative Edwardian design with acanthus and flowers. This frame measures 38cm high by 30cm wide, (1ft 3in x 1ft) and would make a lovely Christmas gift, in excellent condition. This is an antique Victorian Coromandel adjustable book slide decorated with with oval blue Wedgwood Jasperware plaques at both ends. It ws originally sold by Lester & Son of Newcastle-on-Tyne, with a plaque confirming that fact. 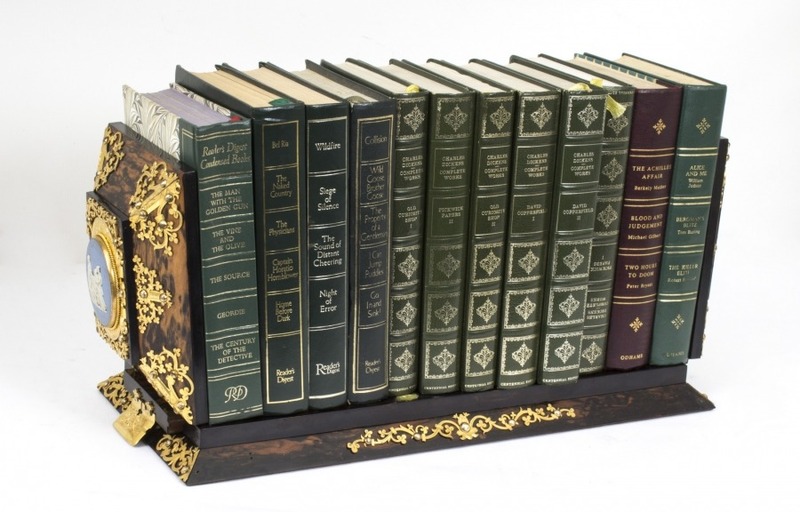 The well known maker of patented mechanisms, Betjemann’s of Pentonville Road, London have also put their name to the piece and it bears their engraved name and patent number 2414. 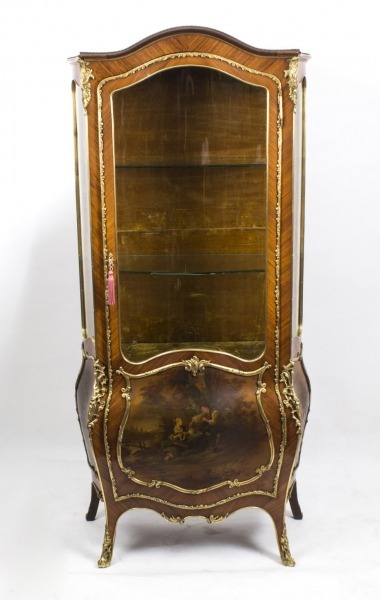 In excellent, fully restored, condition and measuring some 70cm wide, (2ft 4in) when fully extended. 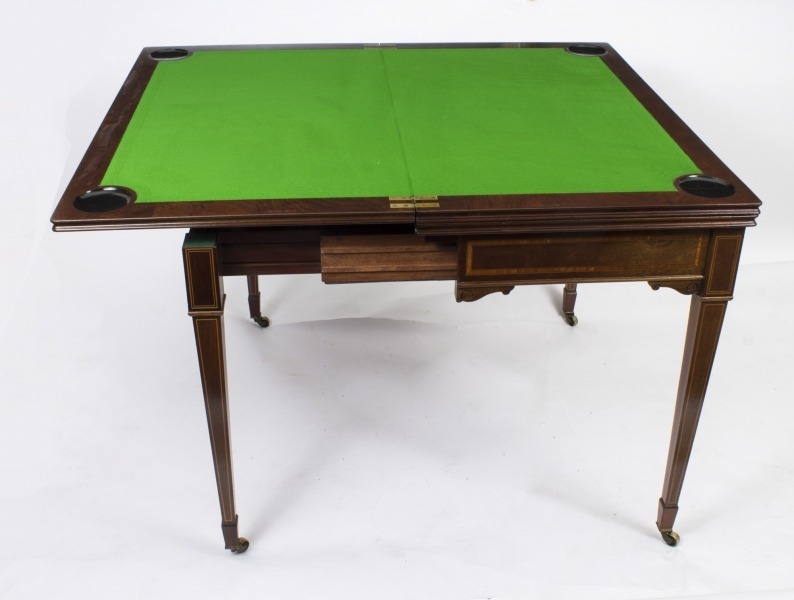 Supplied in excellent condition after an appointment with our talented restorers and having been fitted with a new baize to the card playing surface, this table is mounted on a sturdy mahogany frame and is fitted with the original brass castors so that you can move it around as required. As ever, we are standing by to answer your questions and our shipping team are ready to carefully pack and ship any item to your neck of the woods. 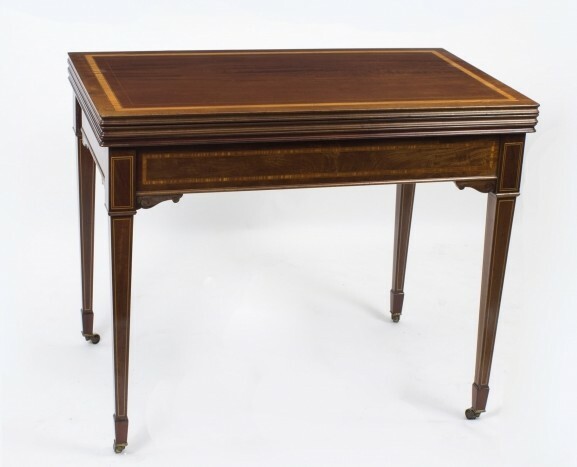 Please contact us for any other information you may require or, if you can, please visit our north London showroom where you can see all of the above newly listed items plus the rest of our large inventory of fine antique furniture and other items.